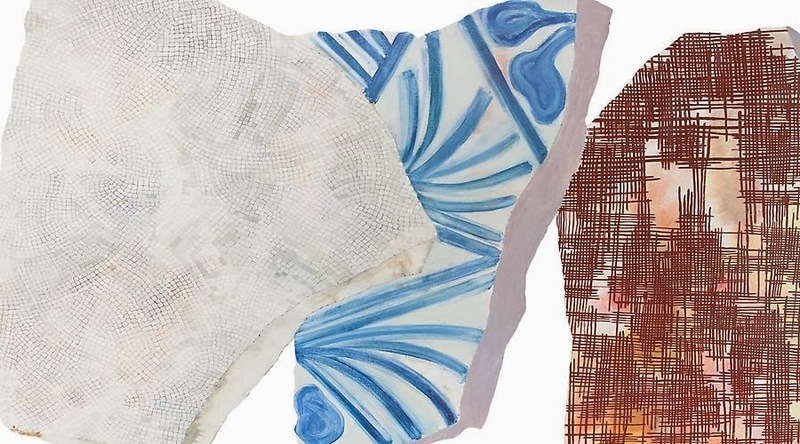 At Outlet Fine Art, seasoned painter Hermine Ford continues her exploration of urban decay and renewal in quirky shaped canvases that depict fragments of floor tile mosaics. In the new work Ford begins to loosen up, combining a more gestural painting approach and larger scale shifts with the tighter, more illustrative technique from previous outings. Her work looks terrific in Jason Andrew’s new exhibition space. Hermine Ford, Untitled (325-13), 2013, oil paint on cotton muslin on shaped panel, 41 x 75 x 3/4 inches. Courtesy of Outlet Fine Art, Brooklyn. Hermine Ford, Untitled (321-13), oil paint on cotton muslin on shaped panel. Courtesy of Outlet Fine Art, Brooklyn. of recent, but thematically unrelated, work. 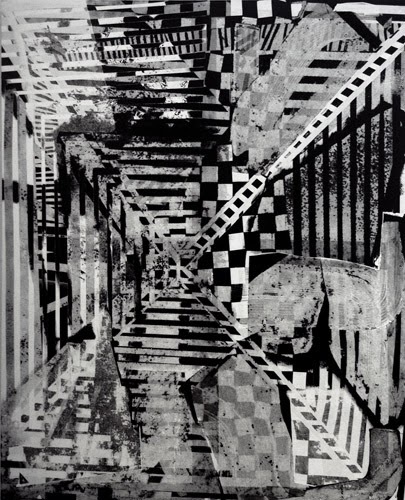 Brian Dupont, Archaeology and Revision (Pipe Piece 5), 2013, oil and marker on aluminum in 7 parts, installation dimensions variable. 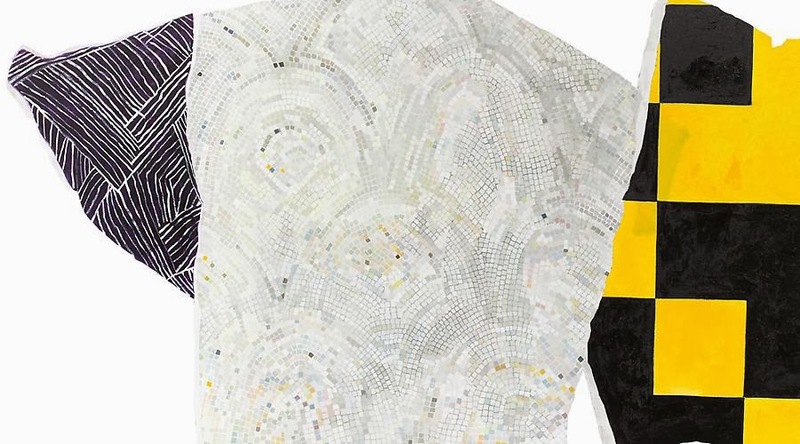 Dupont says the painting consists of multiple pieces that he installs differently depending on the exhibition space. Michael Callaghan, Horseshoe, acrylic on canvas, 72 x 84 inches. 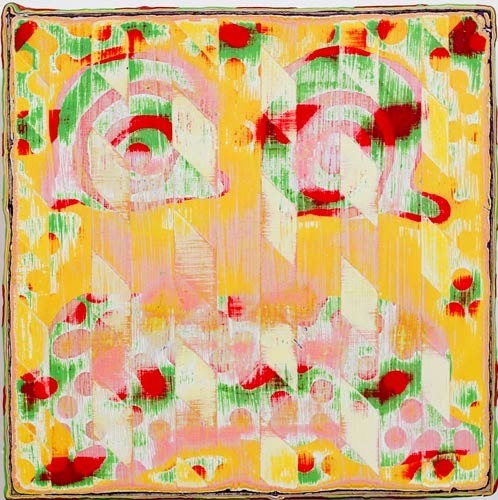 Christopher Moss, Ebola Winter, 2013, acrylic on panel, 8 x 8 inches. Each small painting has a secret dollhouse-like installation in the back. 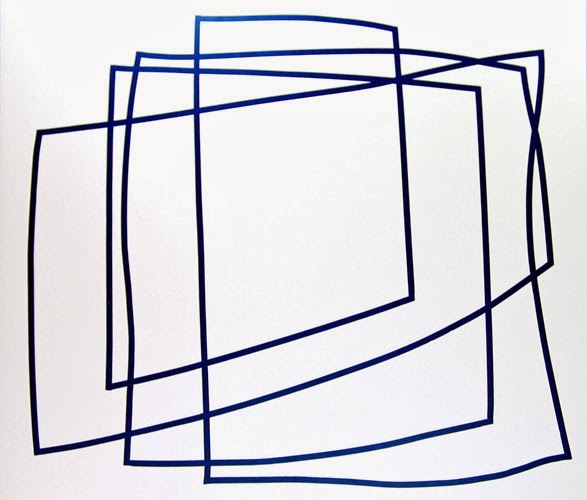 Steven Charles, thpaisun, 2013, acrylic on wood, 60 x 48 inches. Although it’s hard to see in this JPEG, Charles uses obsessive masking techniques, painting minute halftone dots according to specific rules. 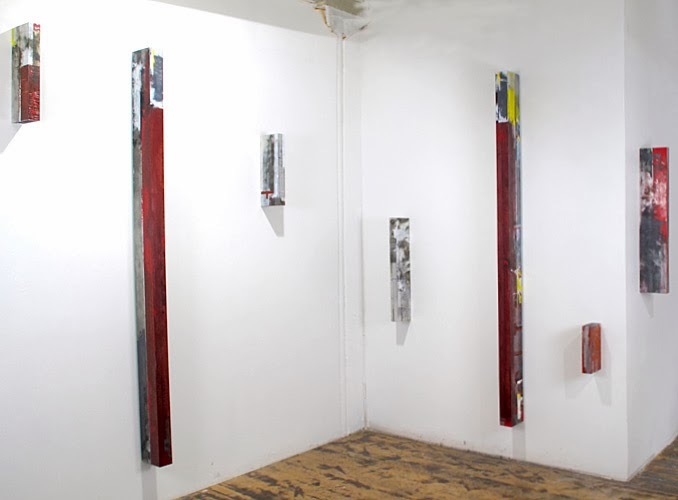 “Hermine Ford: Paintings,” Outlet Fine Art, Bushwick, Brooklyn, NY. Through February 2, 2014. “Brooklyn Boys Go Bowling: Steven Charles, Michael Callaghan, Brian Dupont, Christopher Moss,” Theodore:Art, Bushwick, Brooklyn, NY. Through February 16, 2014.